Saturday night's Powerball drawing produced a winner of the $429.6 million jackpot, according to lottery officials. 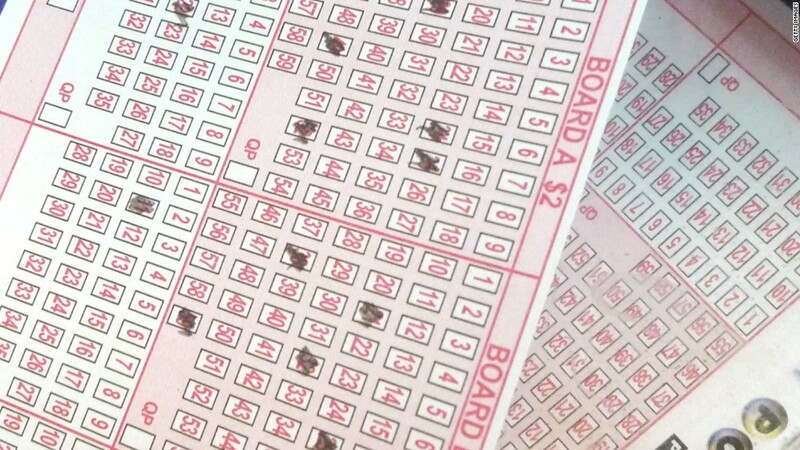 The ticket was sold in Mercer County, New Jersey, is one of the single biggest winning tickets ever. The jackpot had swelled after 18 drawings without a winner. New Jersey lottery officials said they expect to reveal the store where the ticket was sold by Monday. The winning numbers in Saturday's drawing were 5, 25, 26, 44, 66 and the Powerball was 9. All told, more than 3 million tickets claimed smaller prizes ranging from a few dollars to $1 million for a total of $25.7 million. The $429.6 million jackpot figure is how much the holder or holders of the winning ticket will receive if they take the money as an annuity over 29 years. The lump-sum option is more than $270 million. The pot grew since March 2, after a 67-year-old man in Florida claimed the previous Powerball jackpot of $291.4 million. Powerball numbers are drawn each week on Wednesday and Saturday nights at 10:59 pm ET. Once the jackpot reached over $400 million, it made the list of the largest lottery jackpots of all time. If no one had won after Saturday's drawing, the jackpot would have gone up to $525 million, according to the Texas Lottery. The last jackpot to reach such a high level eventually grew into the largest in U.S. history -- $1.6 billion. That one garnered a lot of attention. In January, three winning tickets were sold in Chino Hills, California; Munford, Tennessee; and Melbourne Beach, Florida. The odds of winning Powerball are long. Individual tickets have only a 1 in 292 million chance of having the jackpot-winning six-digit combination. The odds of being killed by an asteroid are 1 in 700,000, by comparison. Even just guessing the Powerball number, which will get you $4, is hard -- the odds are 1 in 38. -- CNN's Joe Sutton contributed to this report.